Q. Where can I find past year Examination Papers? 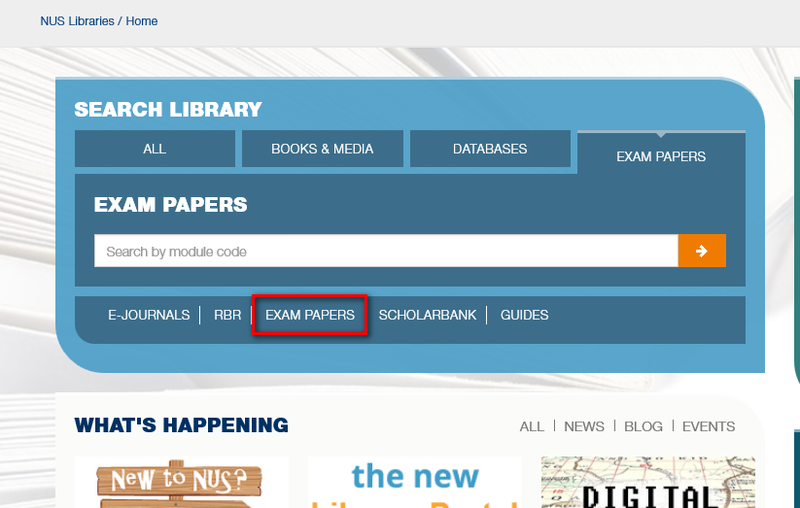 NUS Libraries provides access to the Examination Papers (EXAM) database which consists of past examination papers (not midterms, SM2 etc) of the National University of Singapore that were released by the Registrar's Office. The database is updated whenever the Library receives new examination papers from the Registrar's Office. Please note that Access to the database is restricted to the staff and student of NUS only. Once you have accessed the exam papers database, in the database you can also search by other fields like Module Name, Faculty, Year of Examination etc. Using this option may provide more flexibility in searching as you are able to combine fields, use operators to limit your searches and sort your data. You may be prompted for your NUSNET userid and password if you have not logged in. Why can't I find the past year exam paper I need in the Examination Papers database?